To claim this profile, please confirm you are Victor De Leon. To follow this profile, please let us know your relationship to Victor De Leon. Victor's baseball stats have been updated for the loss @ El Monte. RESULTLoss Varsity baseball @ El Monte. The Alhambra varsity baseball team lost Wednesday's away non-conference game against El Monte (CA) by a score of 7-6. 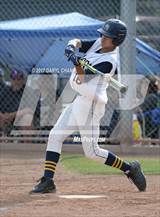 Victor's baseball stats have been updated for the loss @ Capistrano Valley Christian. RESULTLoss Varsity baseball @ CVCHS. The Alhambra varsity baseball team lost Tuesday's away non-conference game against Capistrano Valley Christian (San Juan Capistrano, CA) in extra innings by a score of 5-4. Victor's baseball stats have been updated for the loss vs. Schurr. RESULTLoss Varsity baseball vs. Schurr. The Alhambra varsity baseball team lost Friday's home conference game against Schurr (Montebello, CA) by a score of 3-0. Victor's baseball stats have been updated for the win @ Schurr. The Alhambra varsity baseball team won Tuesday's away conference game against Schurr (Montebello, CA) by a score of 8-3. Victor's baseball stats have been updated for the win vs. Mark Keppel. RESULTWin Varsity baseball vs. Mark Keppel. 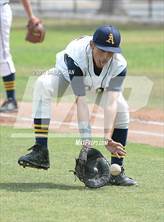 The Alhambra varsity baseball team won Friday's home conference game against rival school Mark Keppel (Alhambra, CA) by a score of 15-0. 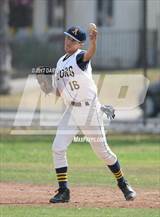 Victor's baseball stats have been updated for the win @ Mark Keppel. RESULTWin Varsity baseball @ Mark Keppel. The Alhambra varsity baseball team won Tuesday's away conference game against rival school Mark Keppel (Alhambra, CA) by a score of 6-3. Victor's baseball stats have been updated for the tie vs. El Toro. RESULTTie Varsity baseball vs. El Toro. The Alhambra varsity baseball team tied Wednesday's neutral tournament game against El Toro (Lake Forest, CA) by a score of 4-4. Victor's baseball stats have been updated for the win vs. Buckley. RESULTWin Varsity baseball vs. Buckley. The Alhambra varsity baseball team won Tuesday's home tournament game against Buckley (Sherman Oaks, CA) by a score of 7-4. Victor's baseball stats have been updated for the loss vs. Damonte Ranch. RESULTLoss Varsity baseball vs. Damonte Ranch. The Alhambra varsity baseball team lost Monday's neutral tournament game against Damonte Ranch (Reno, NV) by a score of 9-4. Victor's baseball stats have been updated for the win vs. Roosevelt.